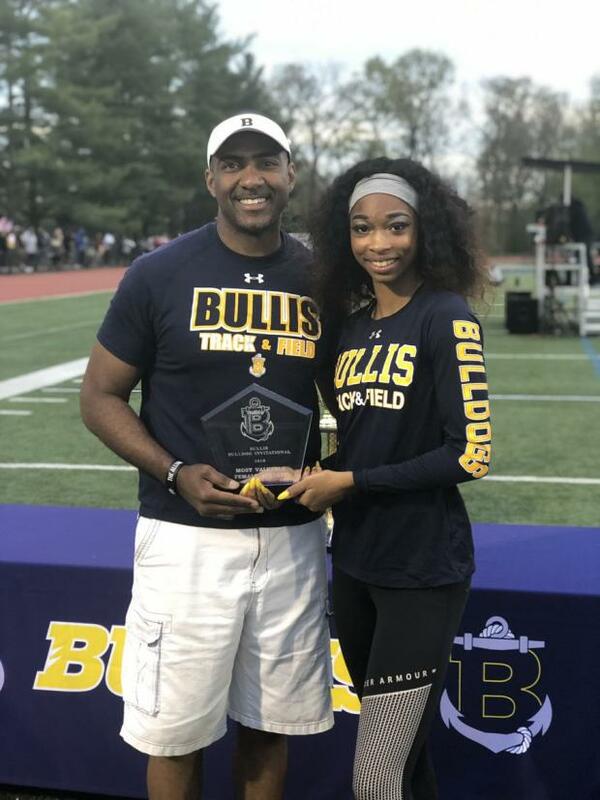 Bullis School junior Leah Phillips was clearly deserving of the MVP award bestowed upon her at her home invitational on Saturday at the Bullis Bulldog Invitational, but it is just as easy to also state that Phillips is the MVP for the entire state of Maryland so far this outdoor season. 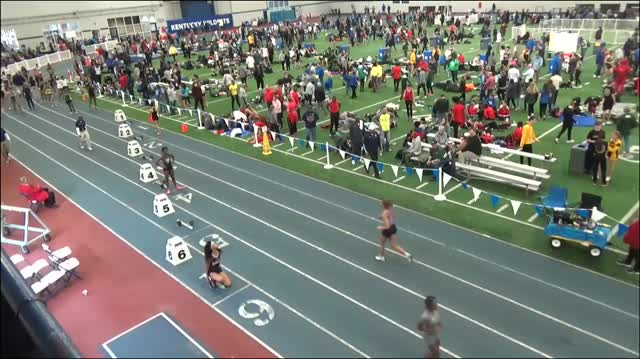 With her 3 wins on Saturday including a US No. 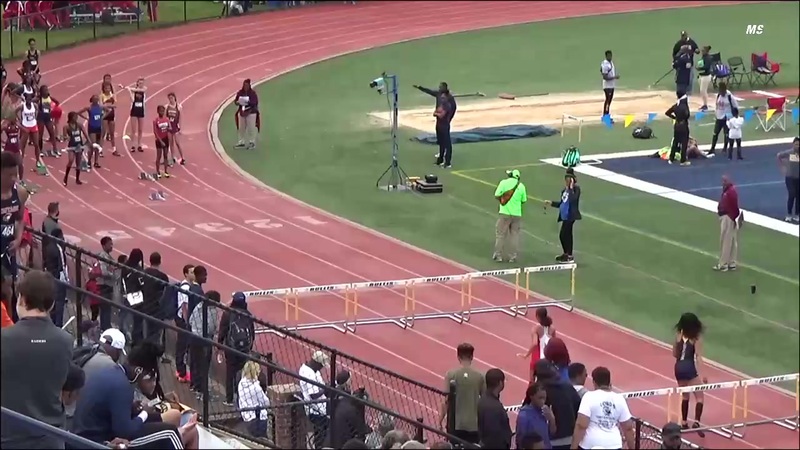 2 time of 1:01.01 in the 400 meter hurdles, a new meet record and US No. 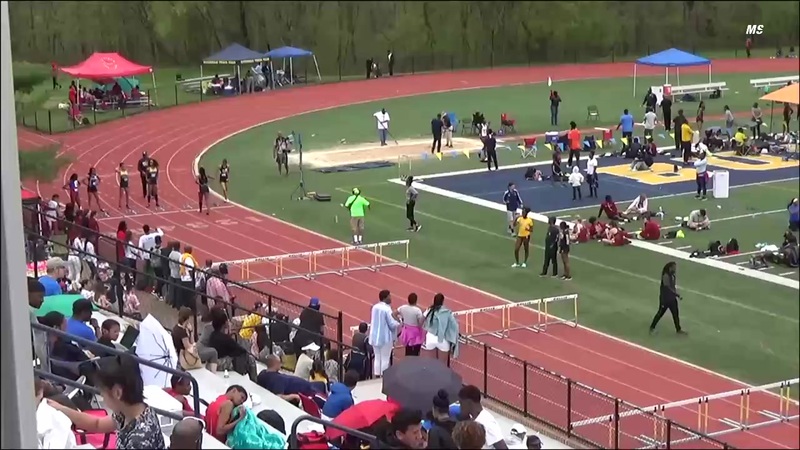 8 wind-legal performance of 13.77 in the 100 meter hurdles, and state leading time of 24.34 in the 200 meter dash, Phillips was without a question the standout out of the entire meet with 67 schools attending from Maryland, DC, Virginia, Delaware, Pennsylvania, New Jersey, New York, Connecticut, Massachusetts, and Indiana. 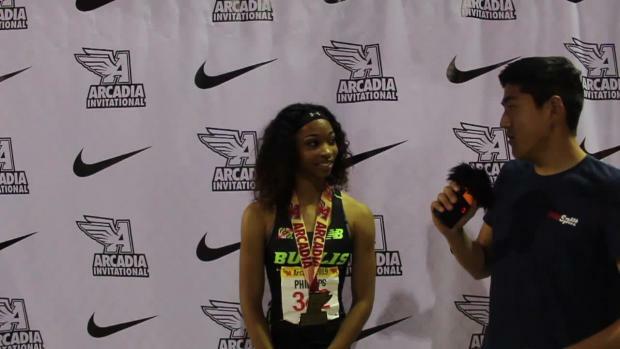 Last week at the Arcadia Invitational, Phillips had won the 300 meter hurdles over a national class star in Anna Hall of Colorado with a US #1 time of 40.82 as well. 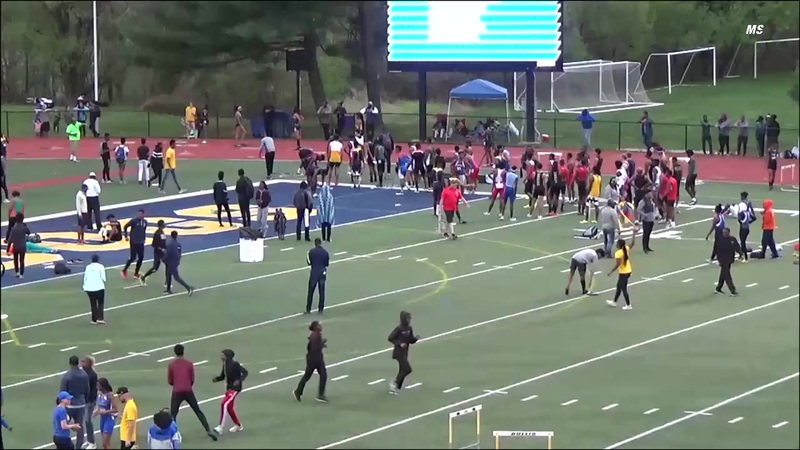 Thus, Phillips is now a state leader in a total of 4 events individually not to mention a member of several of Bullis state leading and nationally ranked relay performances from last week's Arcadia Invite. 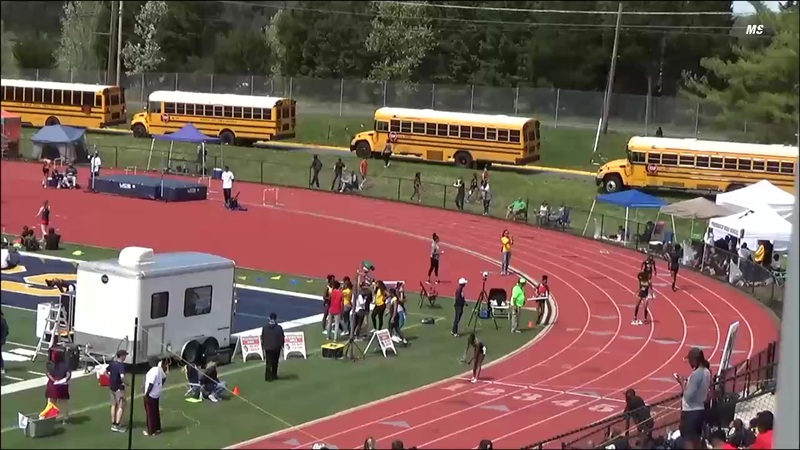 Watch all 3 of her victories from the Bullis Bulldog Invitational below.